If you have any questions about the OCRAM DOS information page below please contact us. 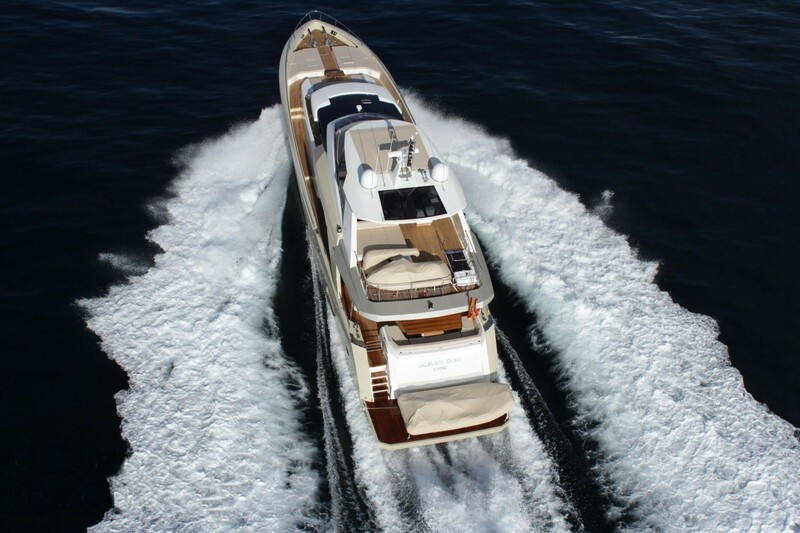 Motor yacht Ocram Dos is a modern and sporty 2600 Fly vessel, constructed by the respected French shipyard, Couach Yachts. 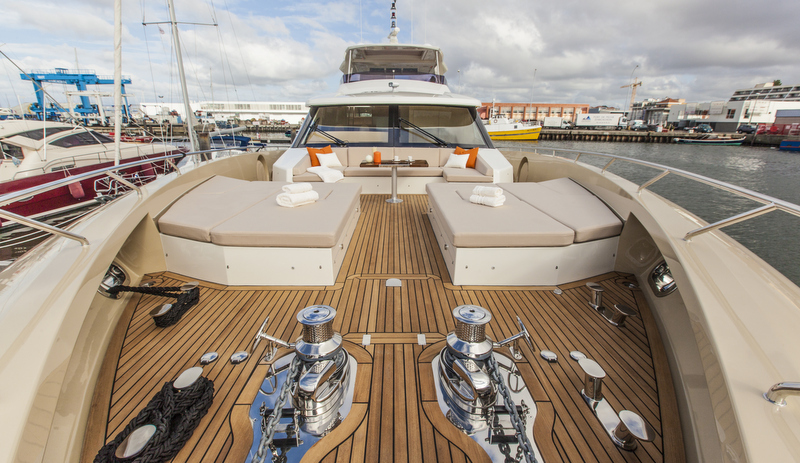 The 26-metre Couach 2600 Fly superyacht Ocram Dos is designed by Exequiel Cano-Lanza and the yard's in-house team. Her launch is in 2013. 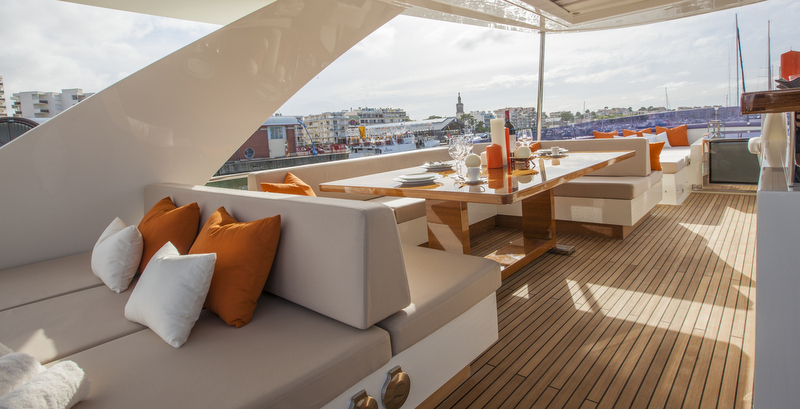 Accommodation aboard the Couach 2600 Fly yacht Ocram Dos is offered to 8 guests in total. There are 4 lovely and comfortable cabins, including a full beam master cabin, a VIP cabin, a double cabin, as well as a twin cabin. All of these can be found on the lower deck. 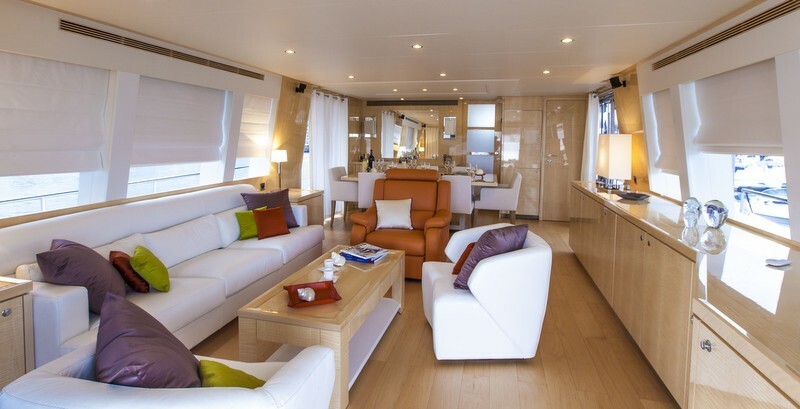 The splendid Ocram Dos also carries a professional crew of 4, sleeping in 2 crew cabins. 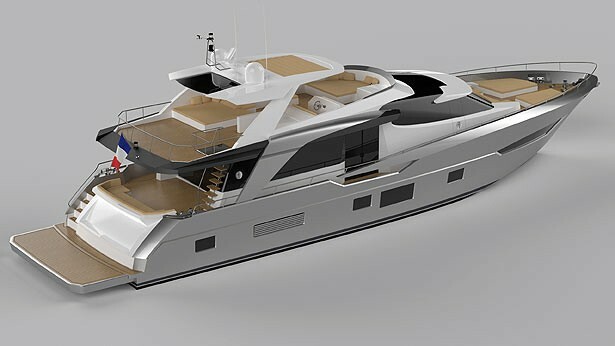 Built in glass, kevlar and carbon, the 26m luxury yacht Ocram Dos can be powered either by twin 1,800hp MAN or by twin 1,900hp Caterpillar diesel engines. 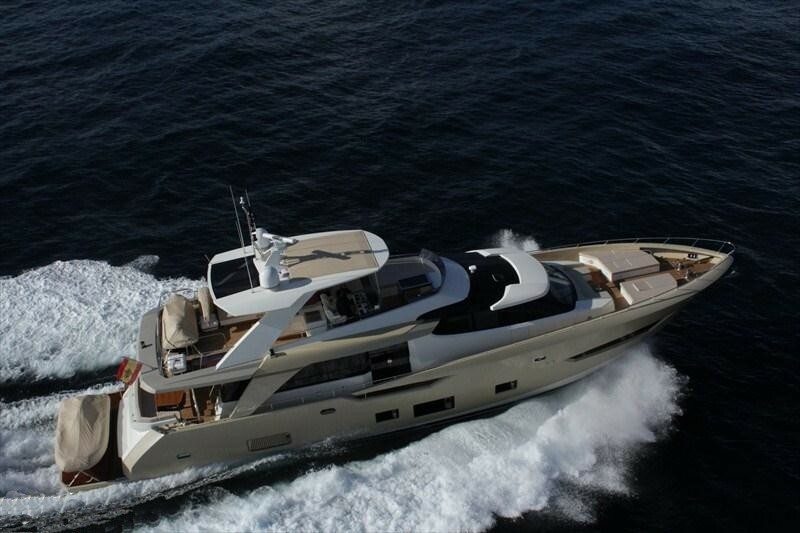 She is able to reach a top speed of around 32 knots and a cruising speed of around 22 knots. Her beam is of 6,3m (20'67'') and her draft is of 1,5m (4'92''). 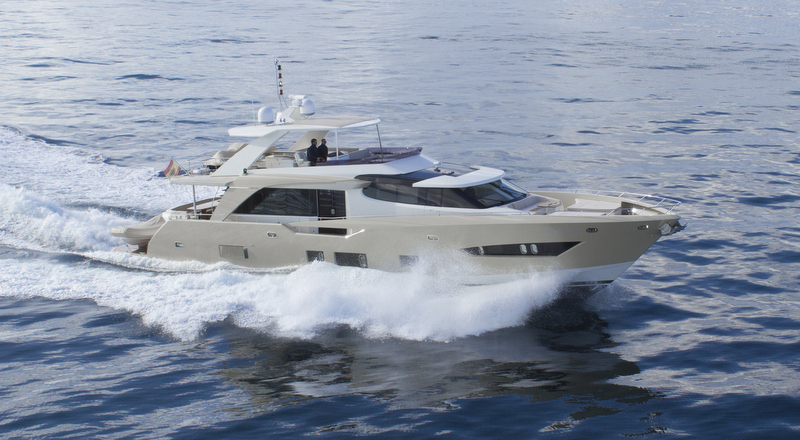 Couach 2600 Fly superyacht Ocram Dos can sleep up to 8 guests in maximum comfort. 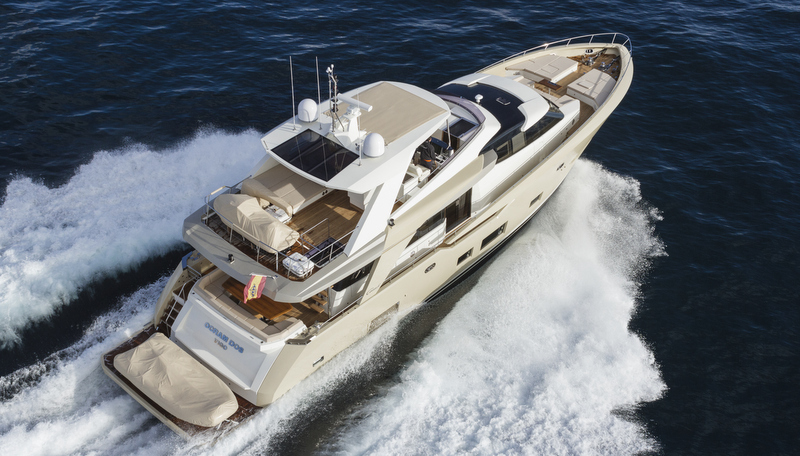 She features 4 beautiful cabins, comprising a full beam master cabin, a VIP cabin, a double cabin, as well as a twin cabin. All of these are situated on the lower deck. 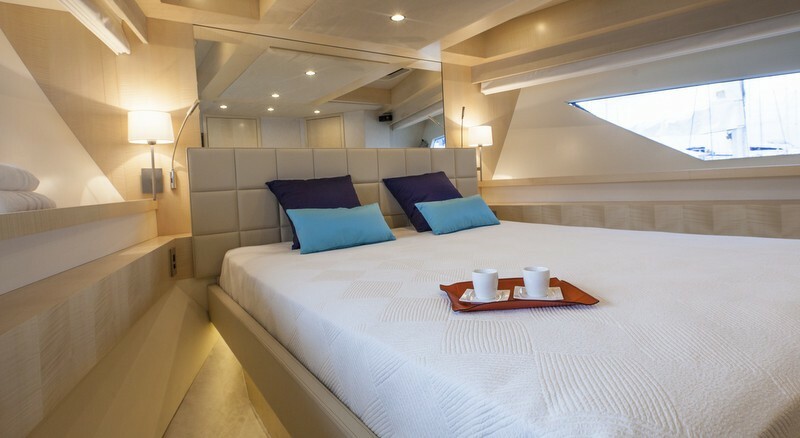 Service aboard this magnificent vessel is provided by a 4 friendly and dedicated crew, sleeping in 2 crew cabins. 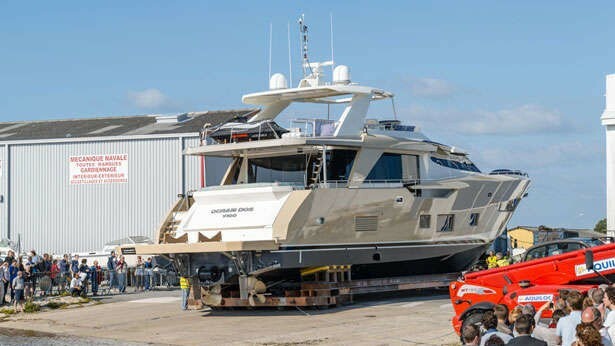 We do have available further amenity, owner and price information for the 26.5m (87') yacht OCRAM DOS, so please enquire for more information. 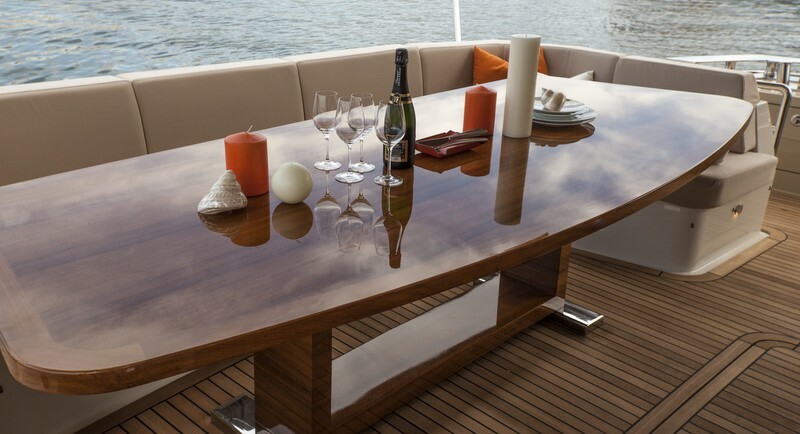 The luxury yacht OCRAM DOS displayed on this page is merely informational and she is not necessarily available for yacht charter or for sale, nor is she represented or marketed in anyway by CharterWorld. This web page and the superyacht information contained herein is not contractual. All yacht specifications and informations are displayed in good faith but CharterWorld does not warrant or assume any legal liability or responsibility for the current accuracy, completeness, validity, or usefulness of any superyacht information and/or images displayed. All boat information is subject to change without prior notice and may not be current.